Extra! – Verity! on Verity! No, that title doesn’t mean we’re fighting amongst ourselves (though it’s true we’re not in total agreement about this week’s topic). 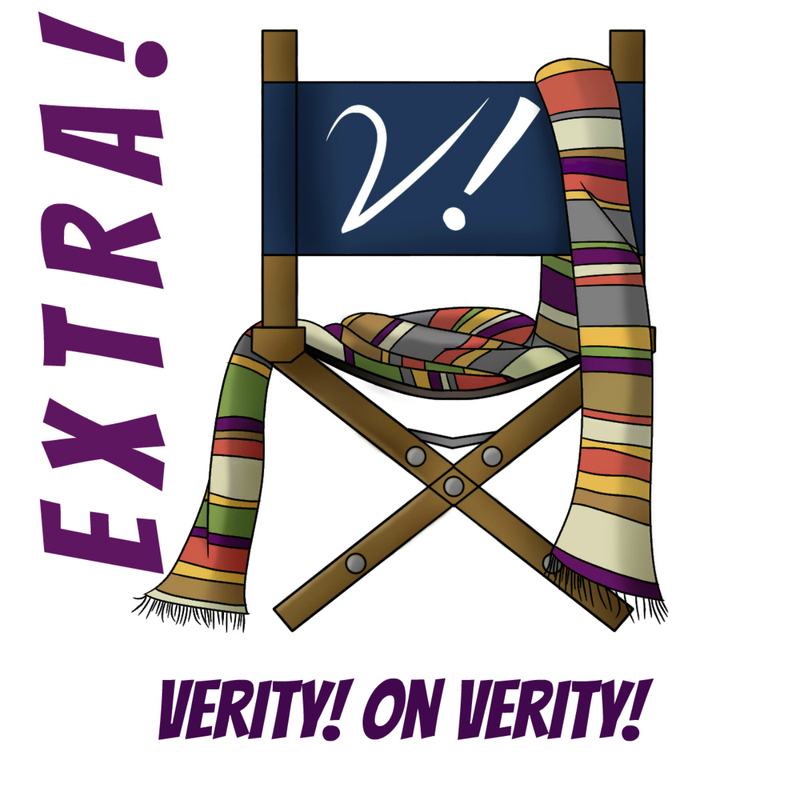 Join Deb, Erika, Liz, Lynne, and Tansy as we talk about Richard Marson’s new biography of Verity Lambert, Drama and Delight: The Life of Verity Lambert. Verity did an awful lot more than just launching Doctor Who. Her successes ranged from television to cooking to friendship. We chat about it all and discuss whether we thought the book succeeds as a biography. Will you be running out to nab this book? Let us know in the comments! Now that new Doctor Who is no longer gracing our screens on a weekly basis, Verity! is back to our usual schedule. That means a “proper” episode every-other-week, but fear not! We’ll have a little something for you in the off-weeks as well. This off-week it’s more than little–it’s an extra-long Extra! Join Deb, Erika, Kat, Lynne, and Tansy as we cover the departure of our beloved Matt Smith and then tackle Richard Marson’s headline-making book JN-T: The Life and Scandalous Times of John Nathan-Turner. If you’d like to take Tansy’s advice and search out more podcastey goodness covering the book, check out Radio Free Skaro’s interview with Richard Marson.